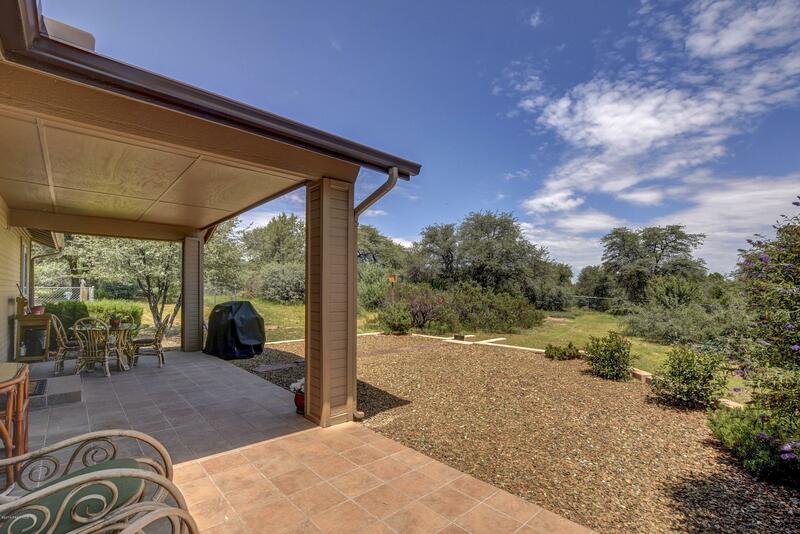 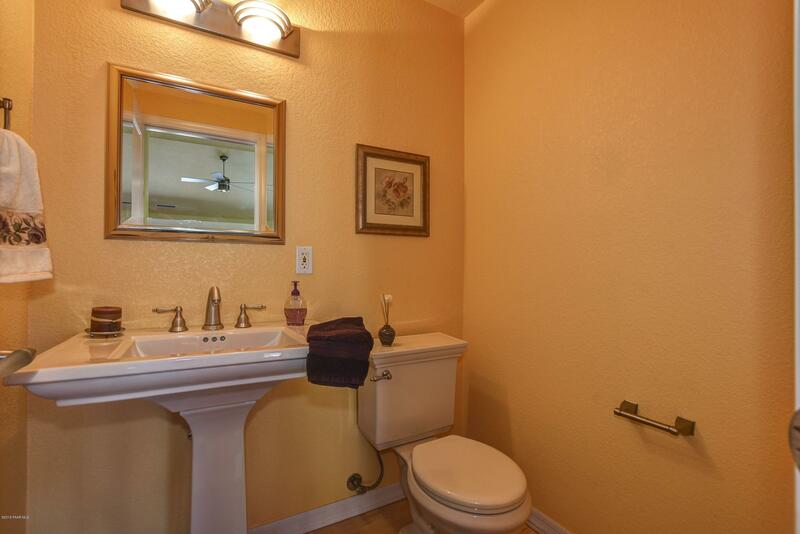 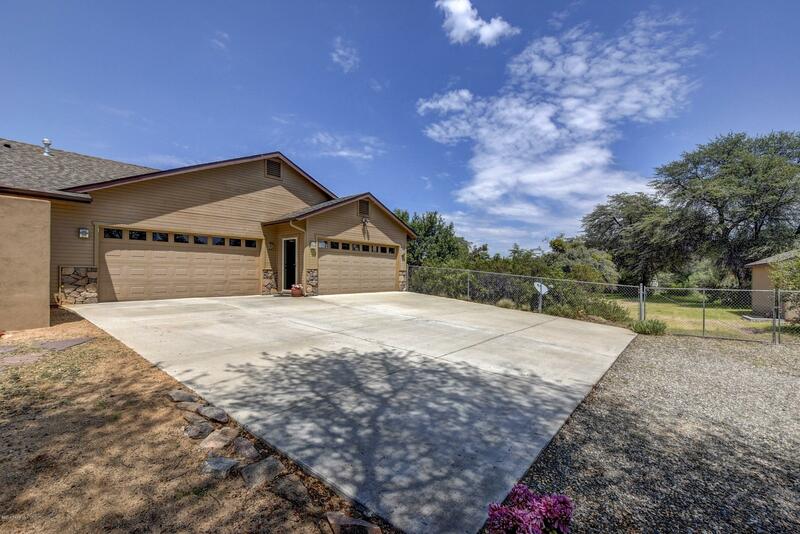 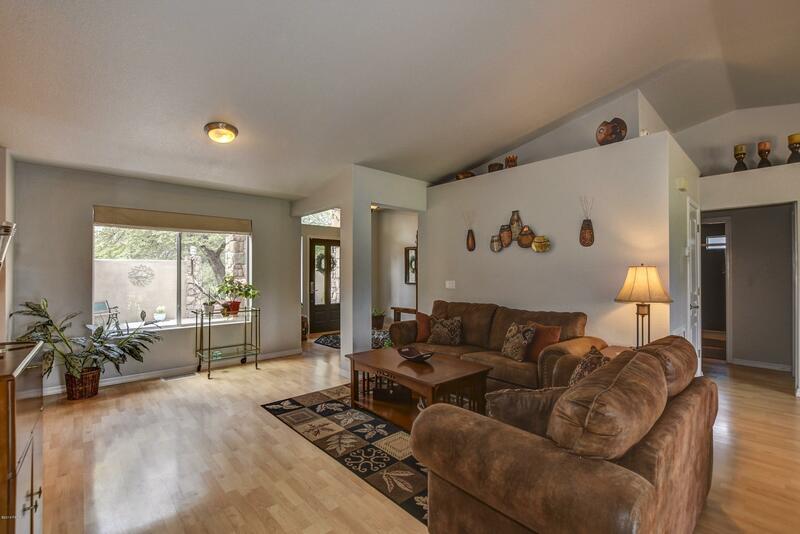 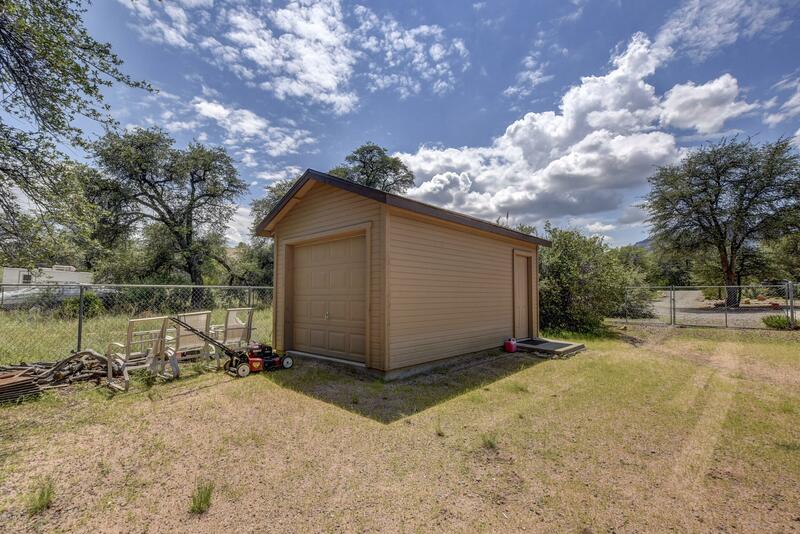 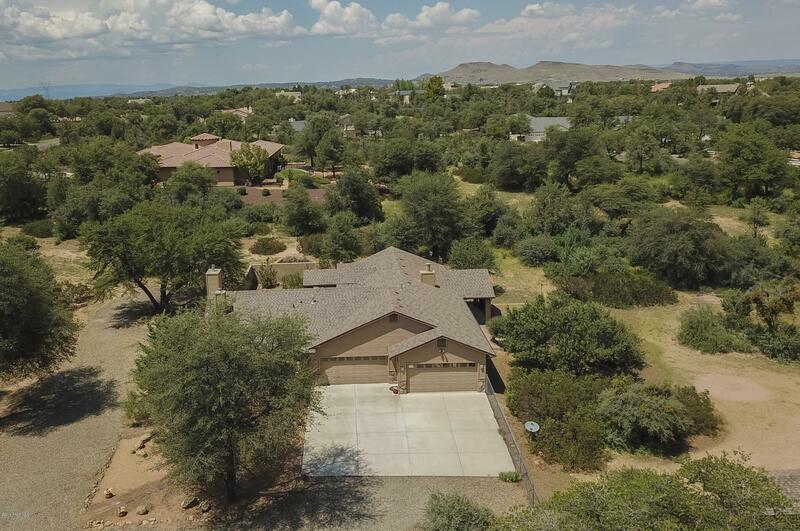 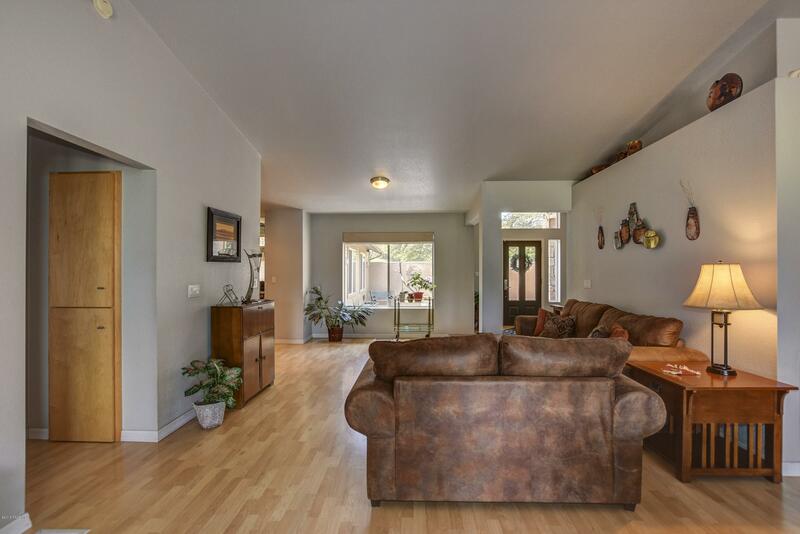 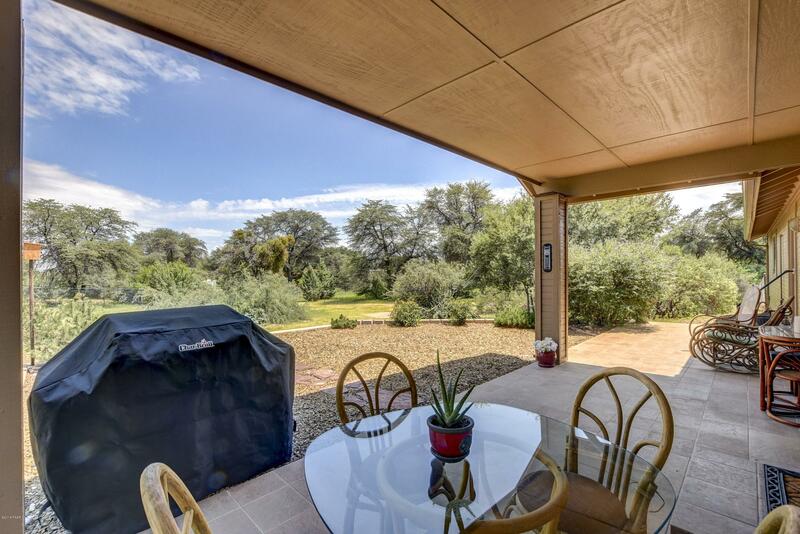 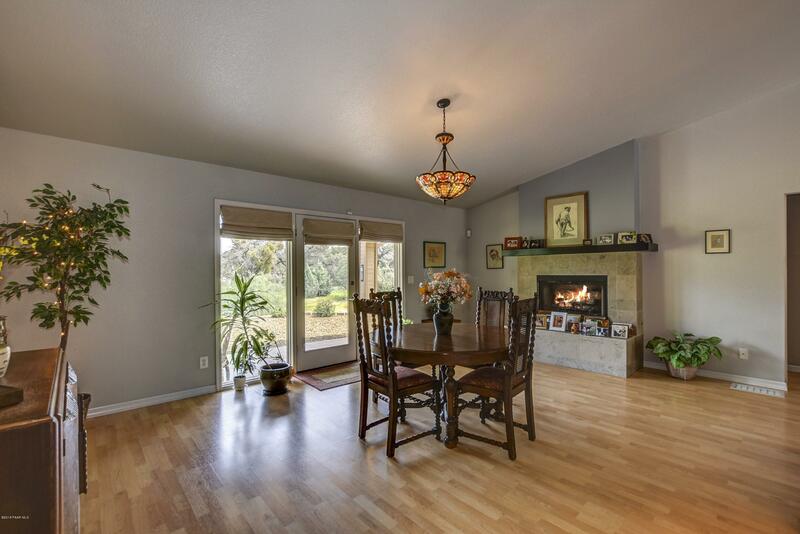 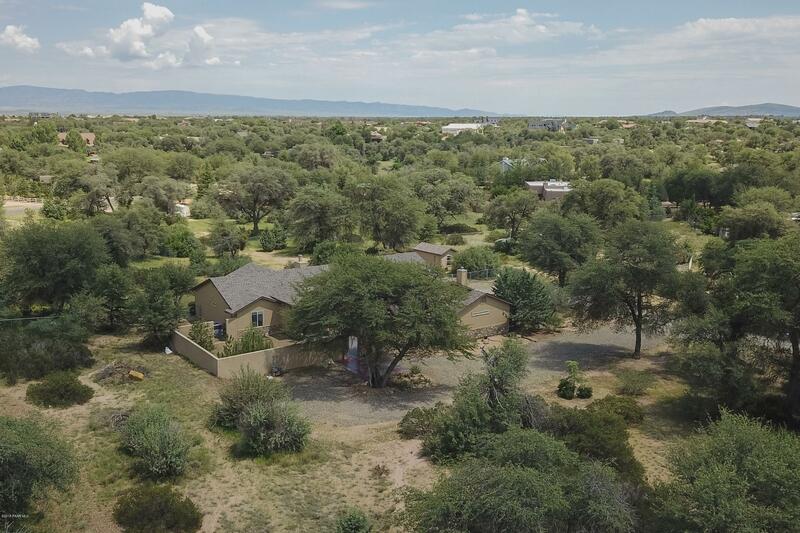 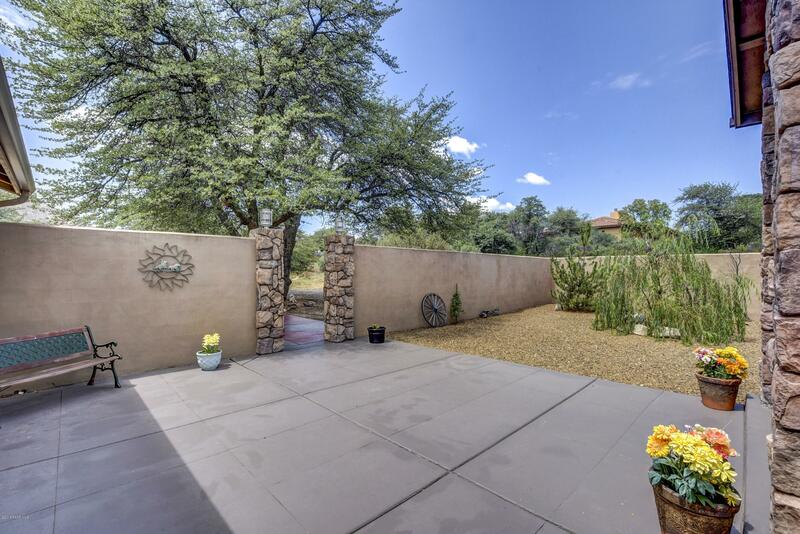 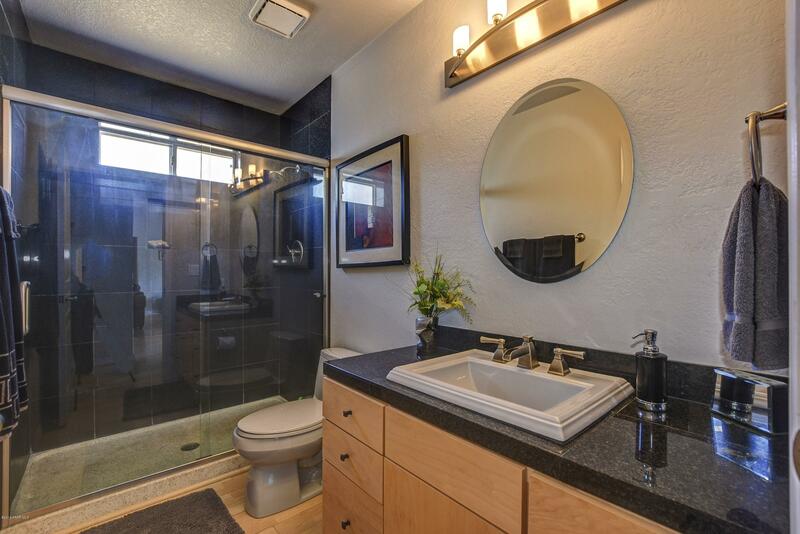 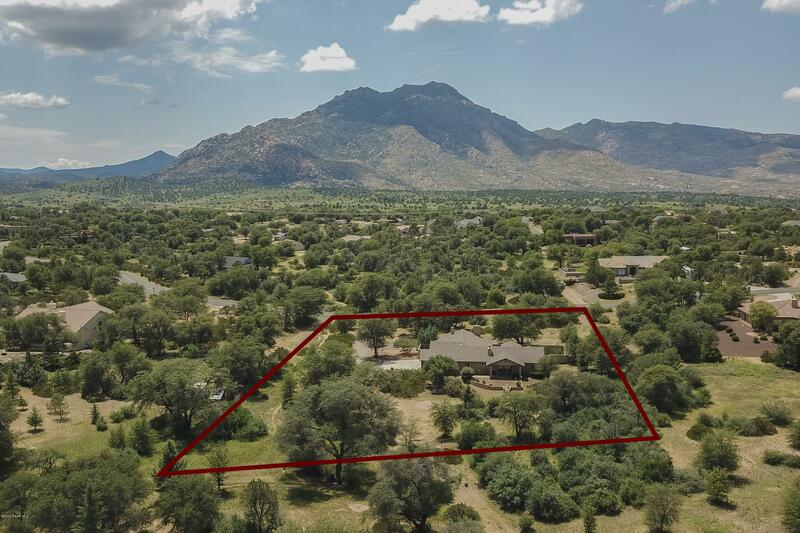 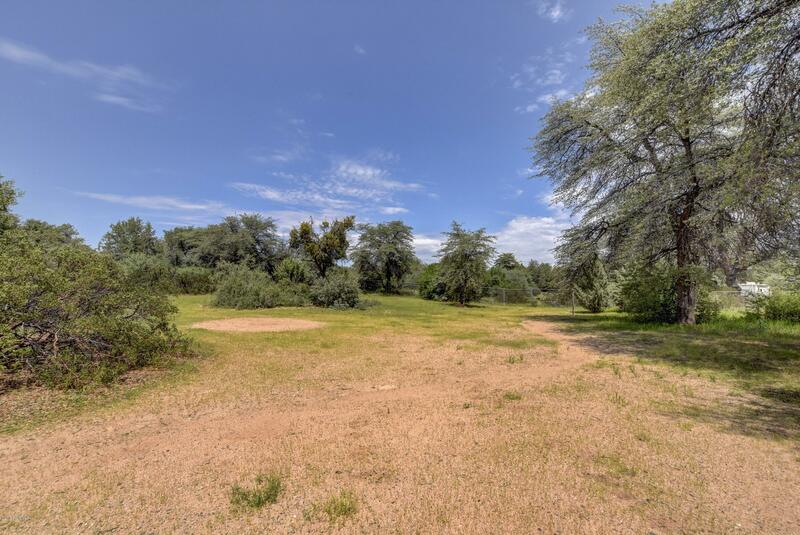 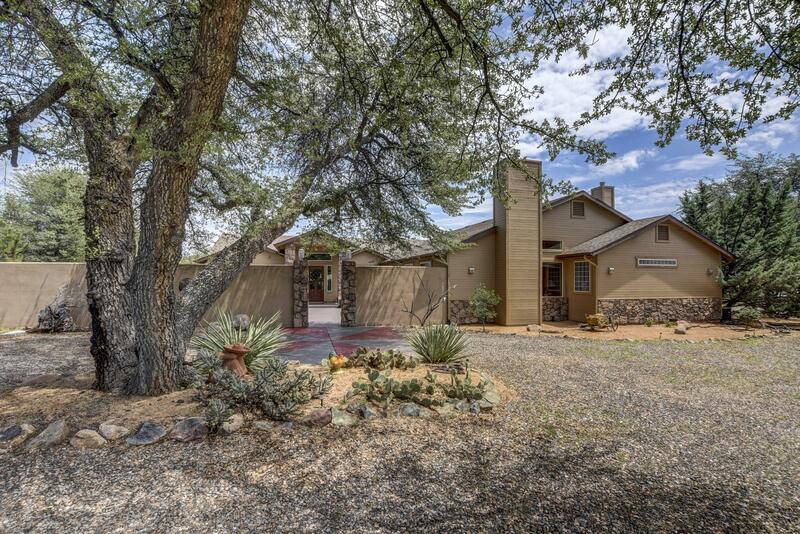 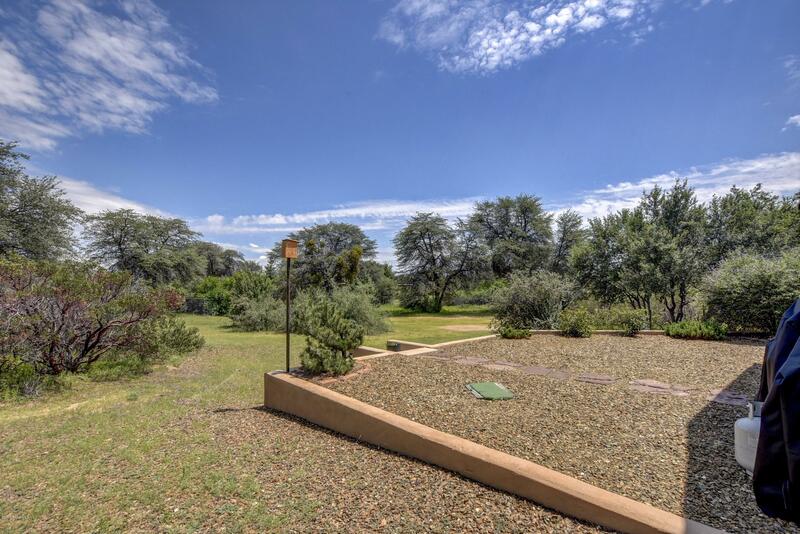 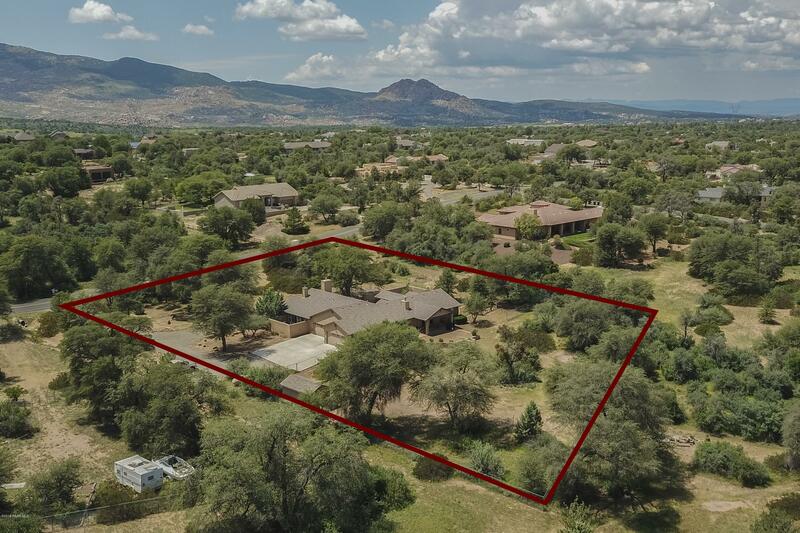 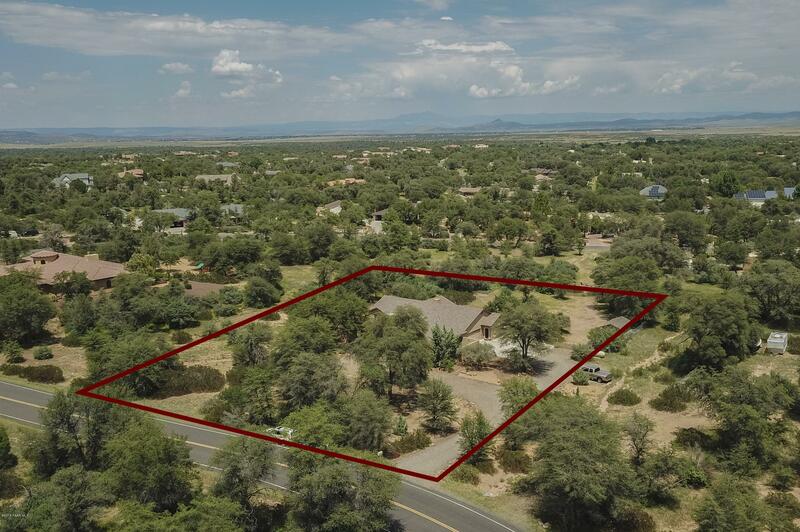 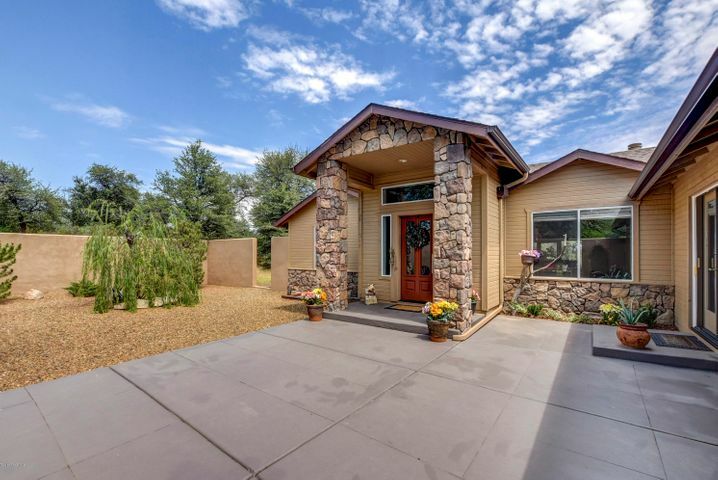 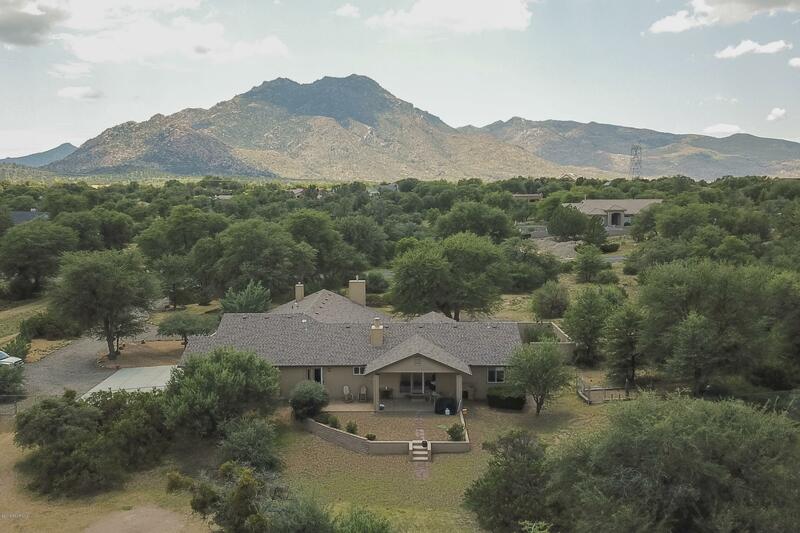 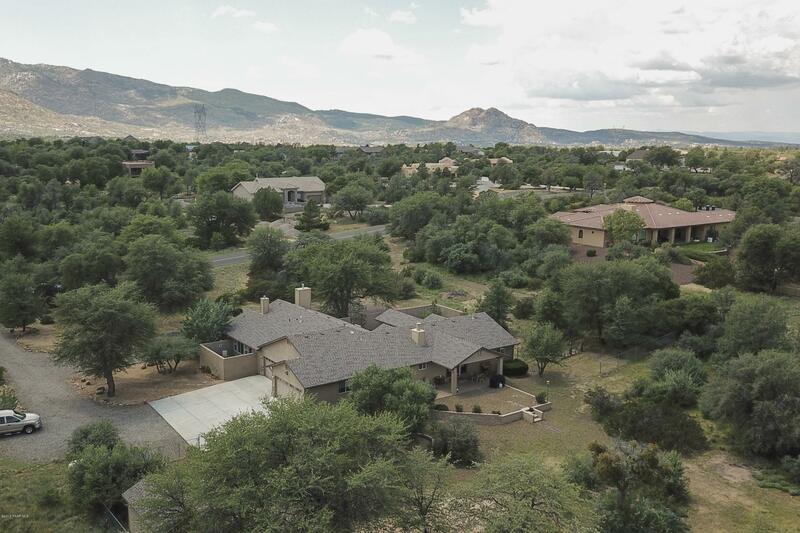 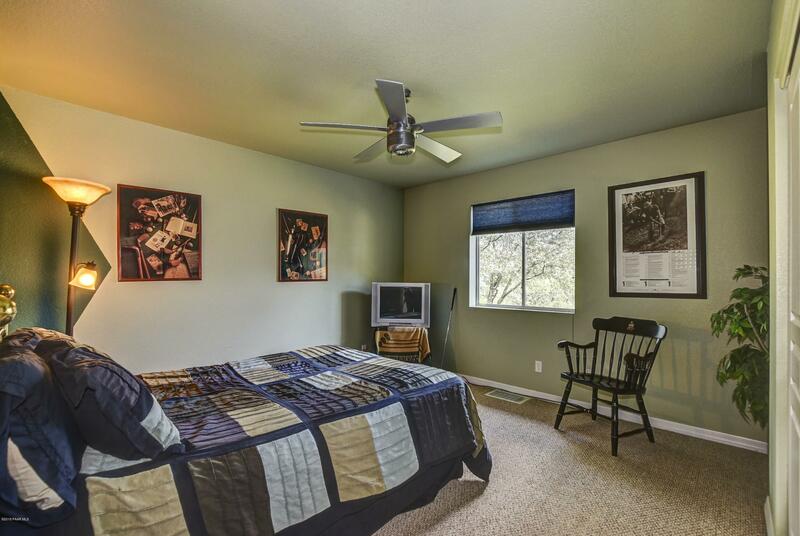 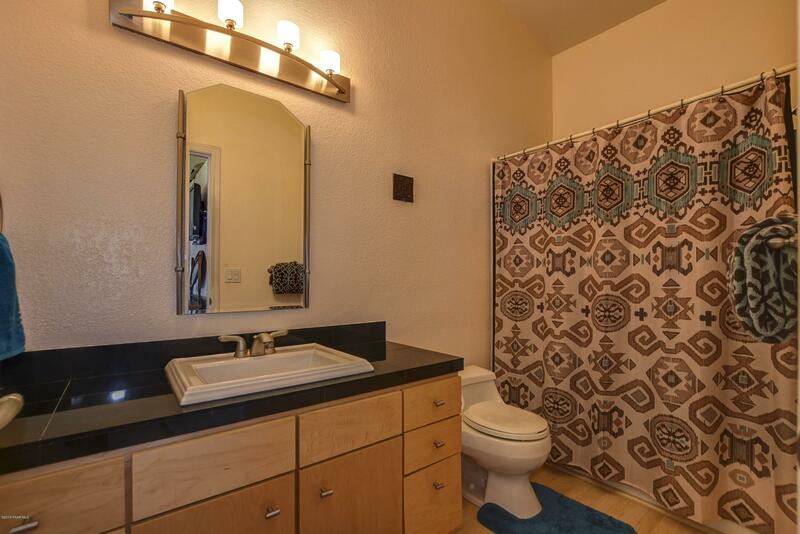 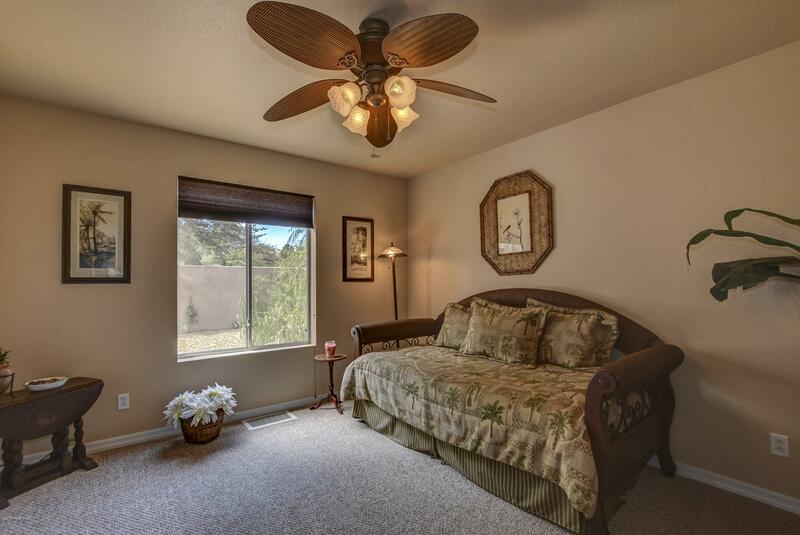 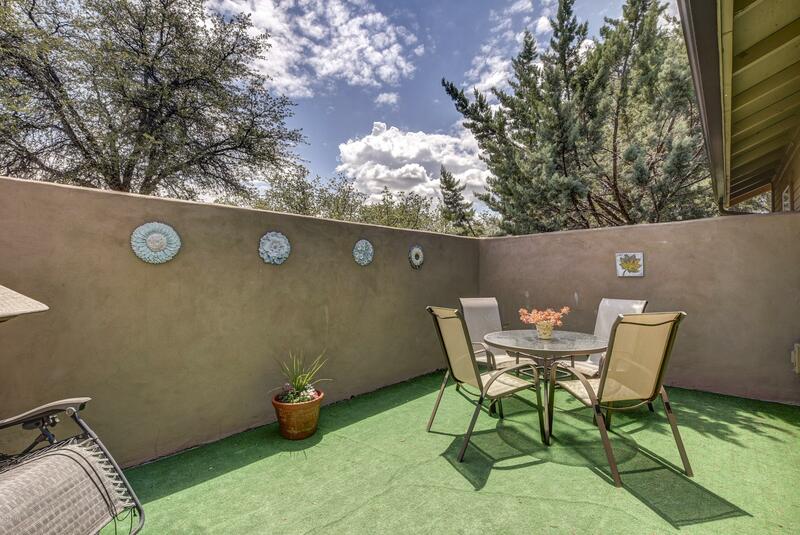 Granite Oaks Oasis- privacy, trees, space that is easy to maintain, and a beautiful, updated home. 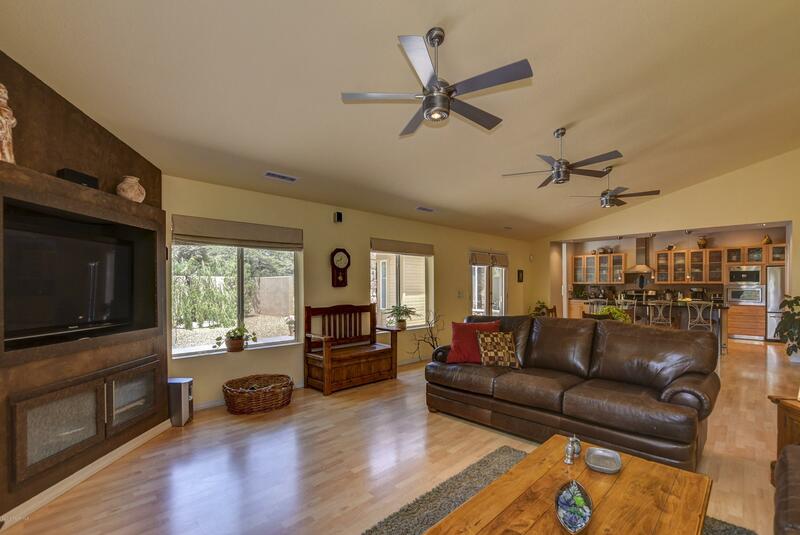 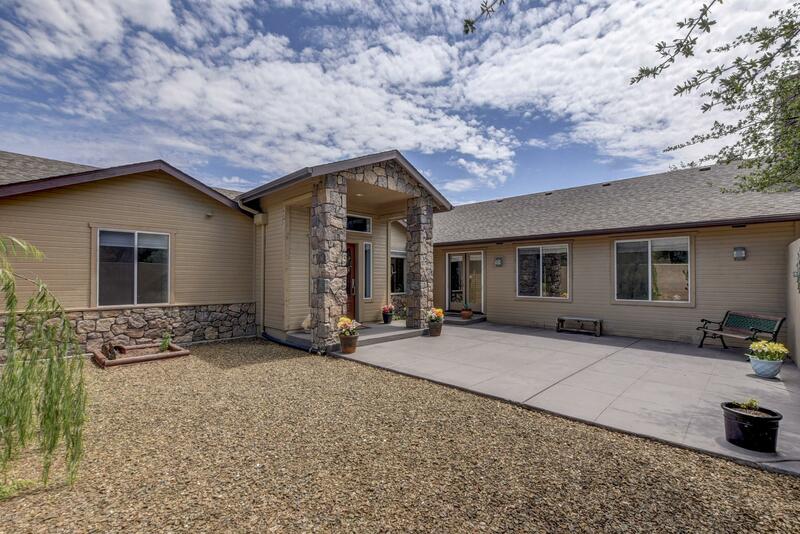 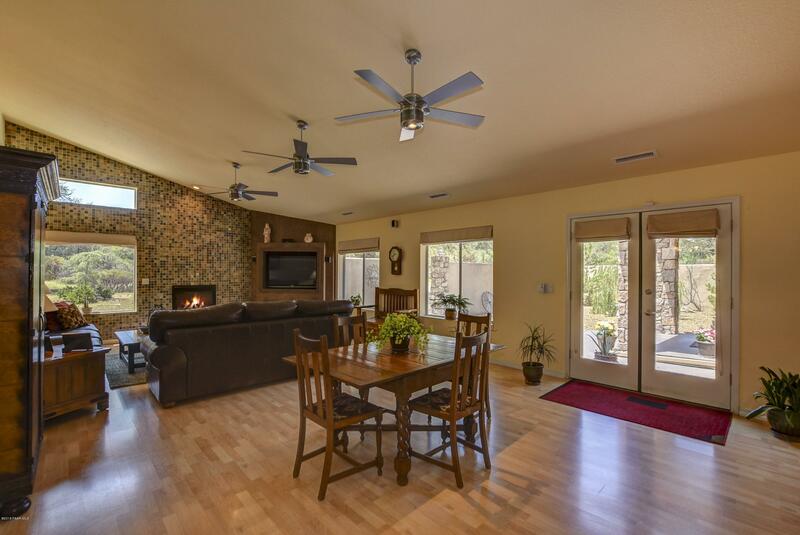 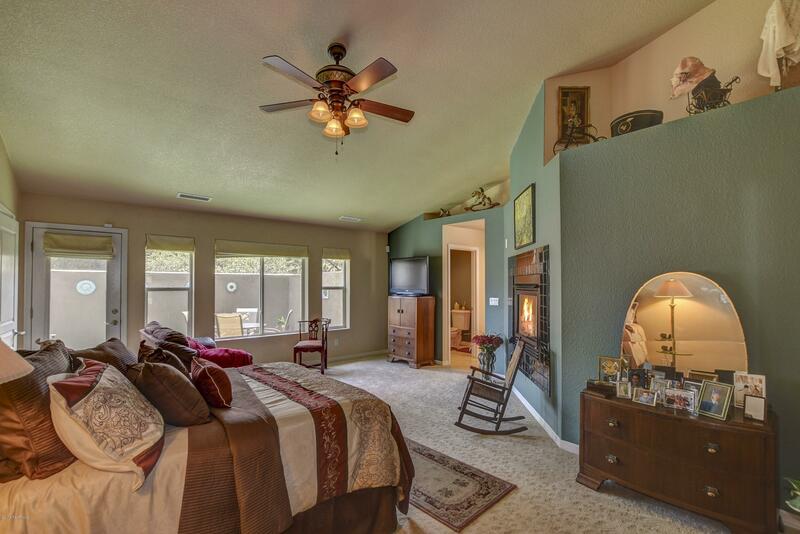 At 3017 square feet, w/ 4 bedrooms, 4 bathrooms, 3 gas fireplaces, perfect set up for guests or two generation living. 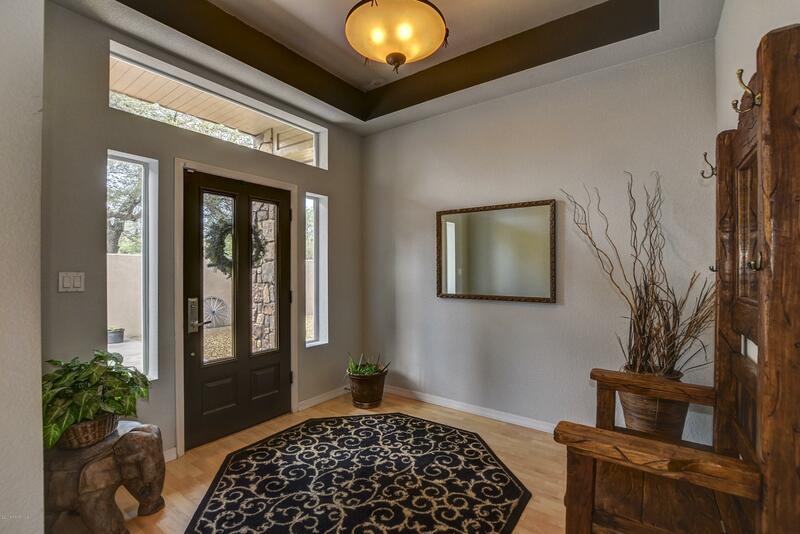 Lovely courtyard entry leads to contemporary comfort. 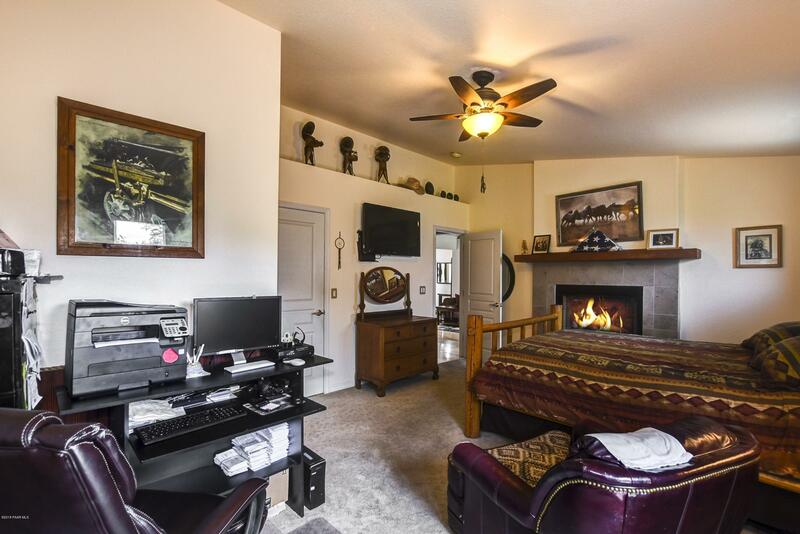 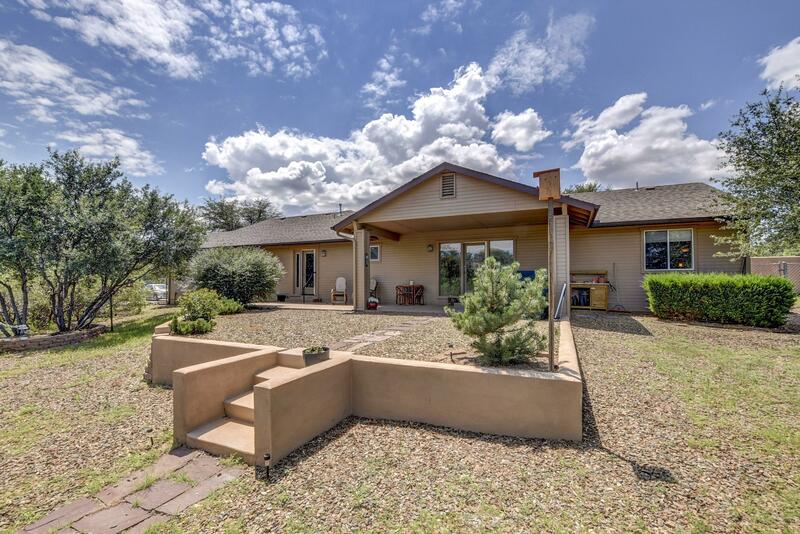 Guest side of the home has a Jr Master suite with back patio access, 2 large guest bedrooms and an updated full bathroom, living room and formal dining with a double sided fireplace. 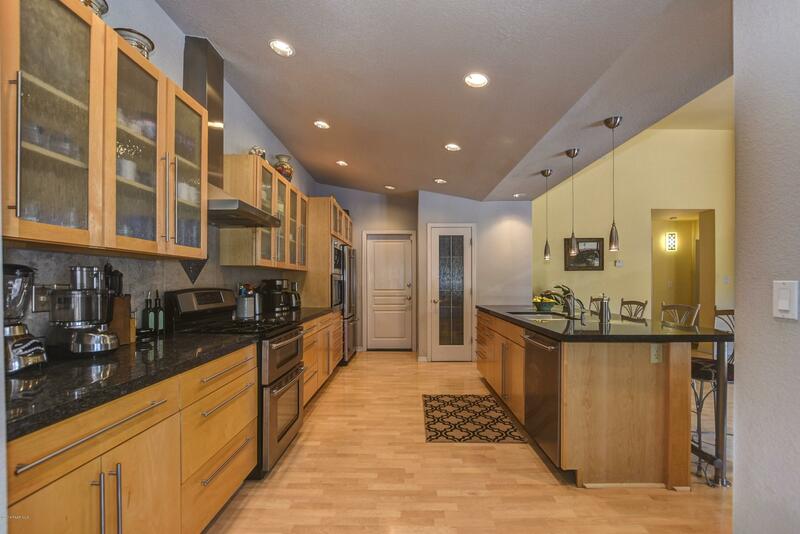 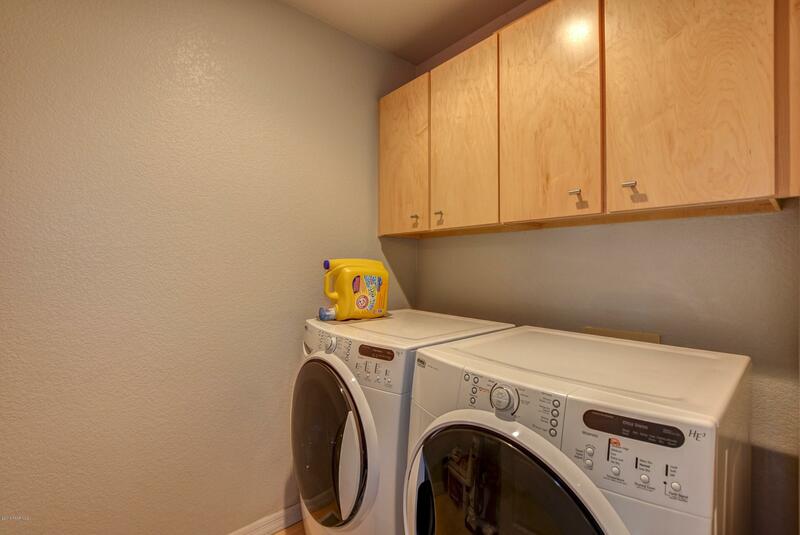 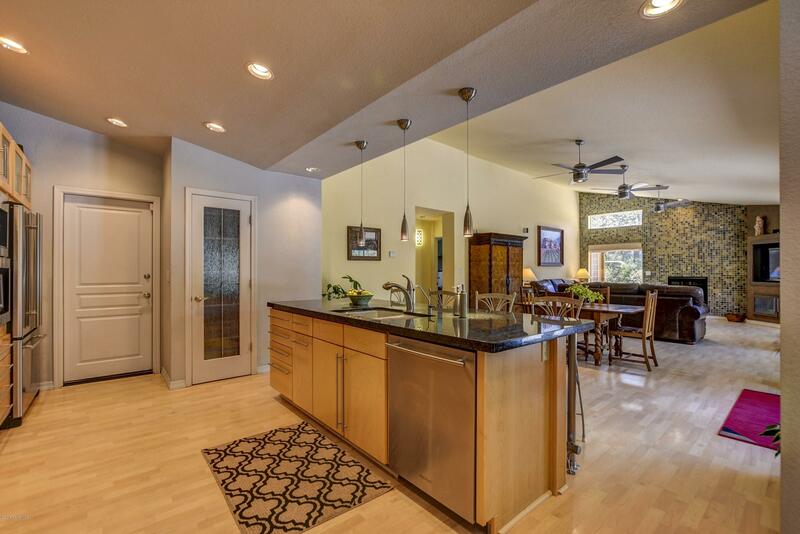 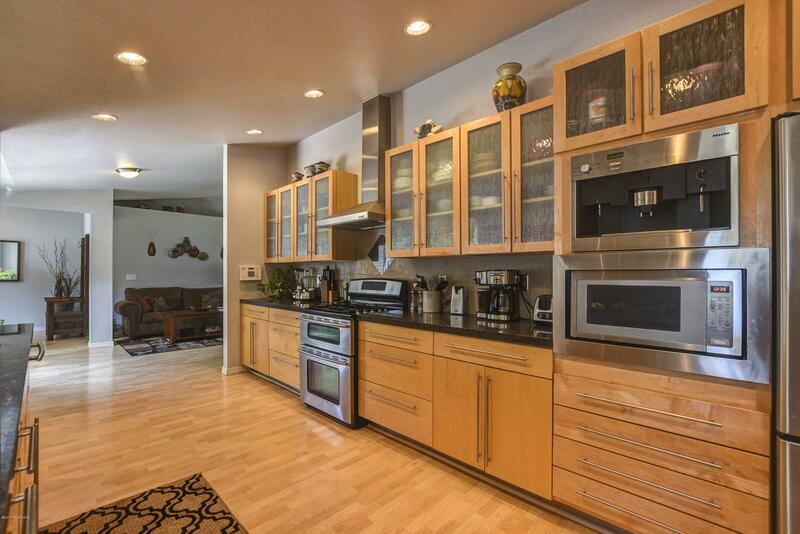 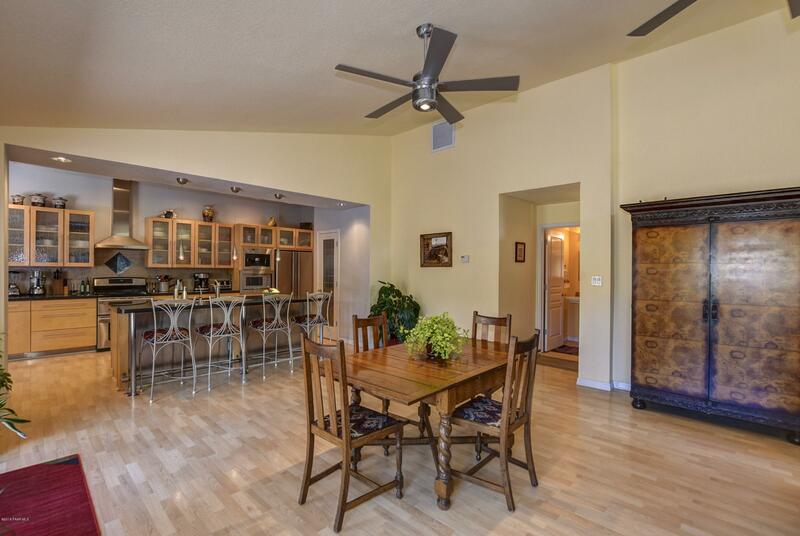 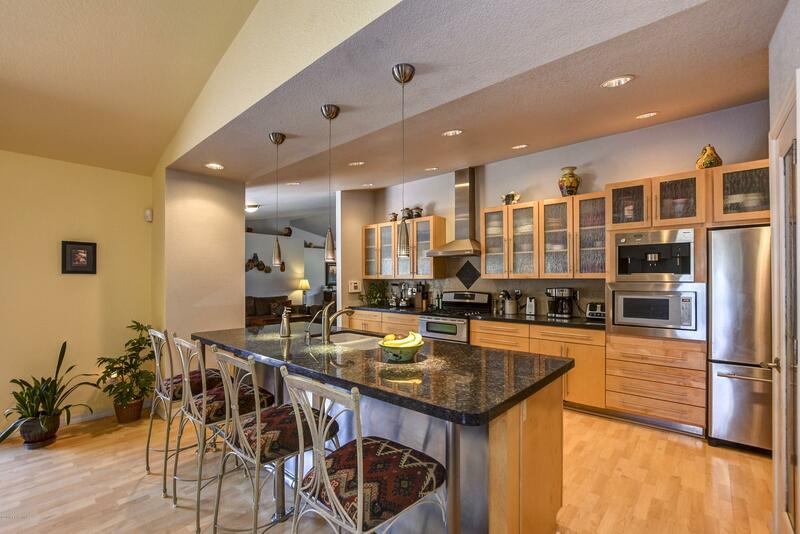 The kitchen boasts Jenn Air appliances, built in espresso maker, granite counters, island bar. 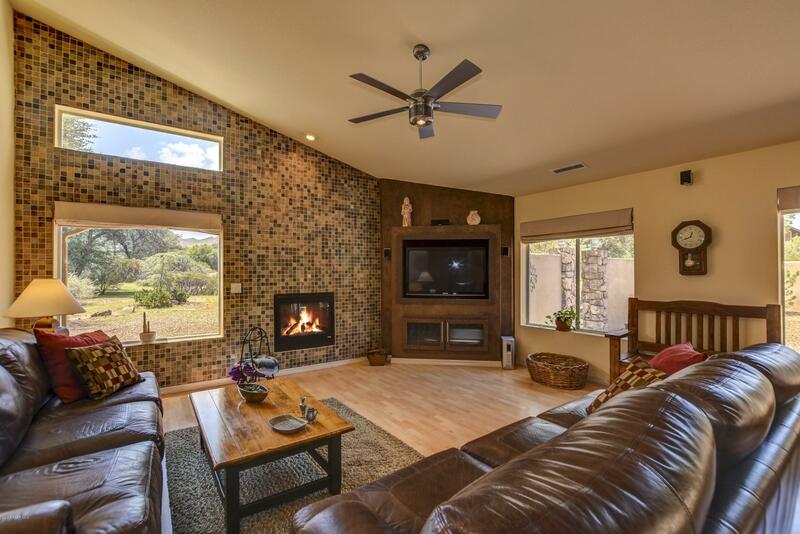 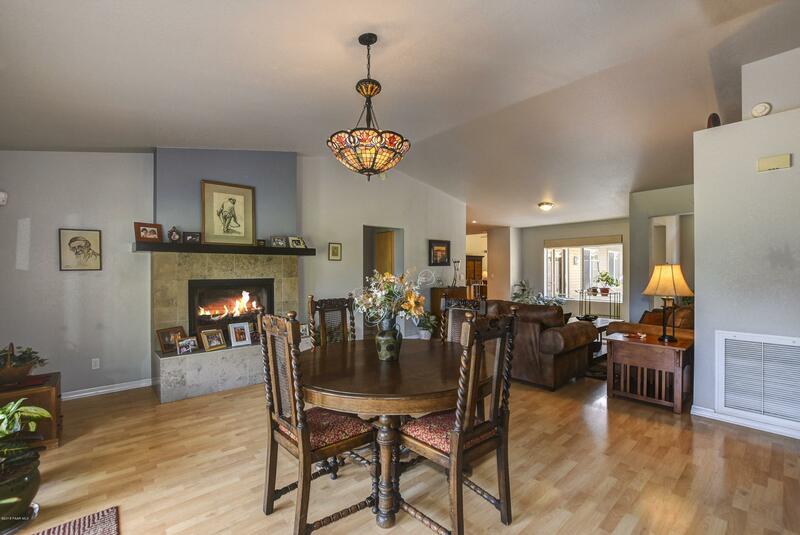 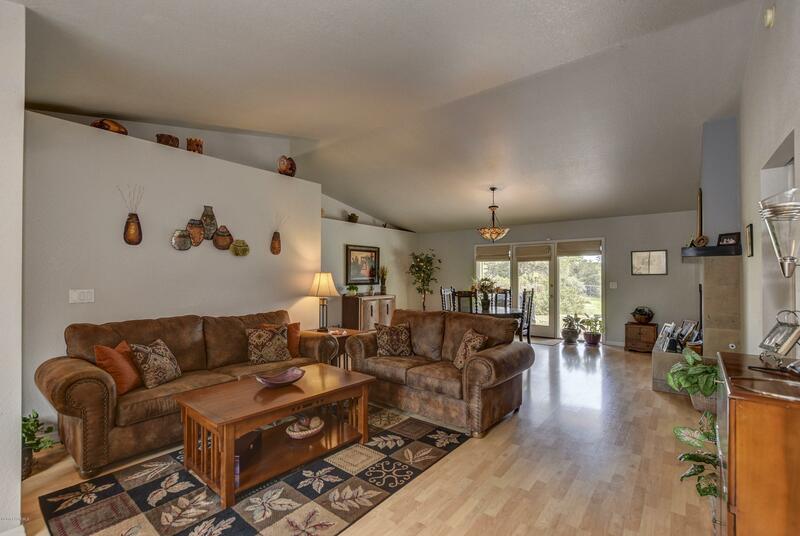 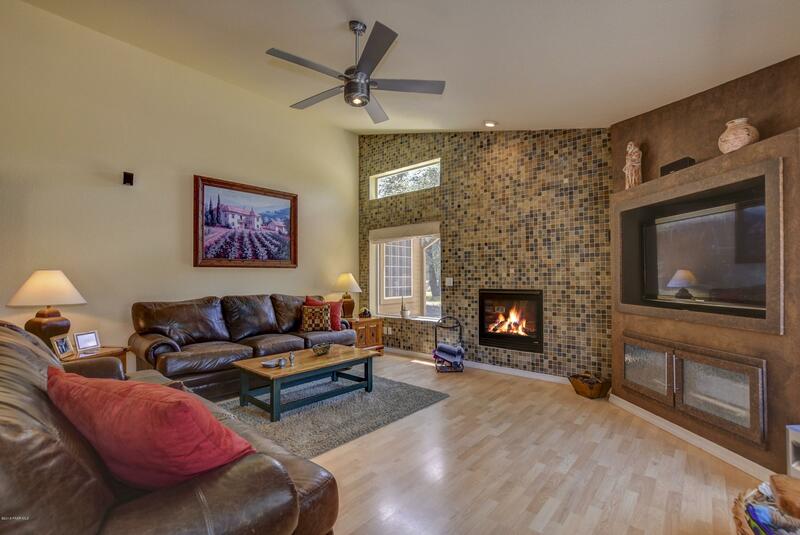 The great room has a casual dining area, and spacious family room with a tiled wall featuring a gas fireplace. 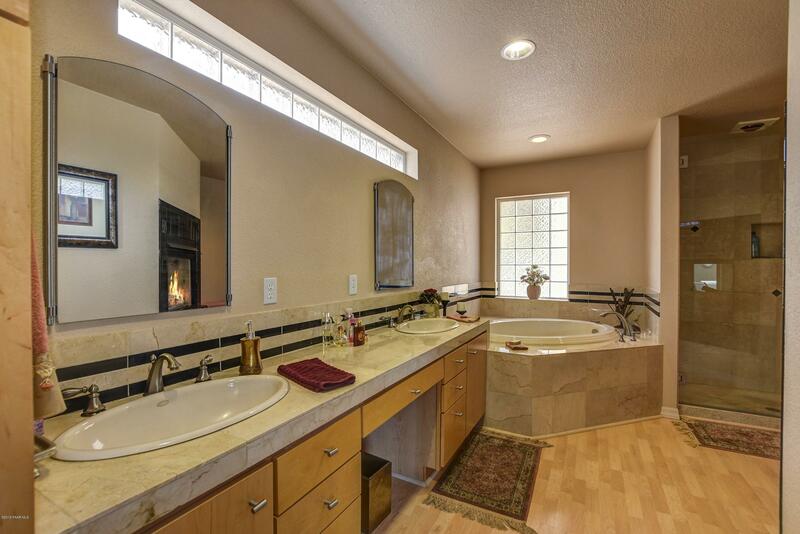 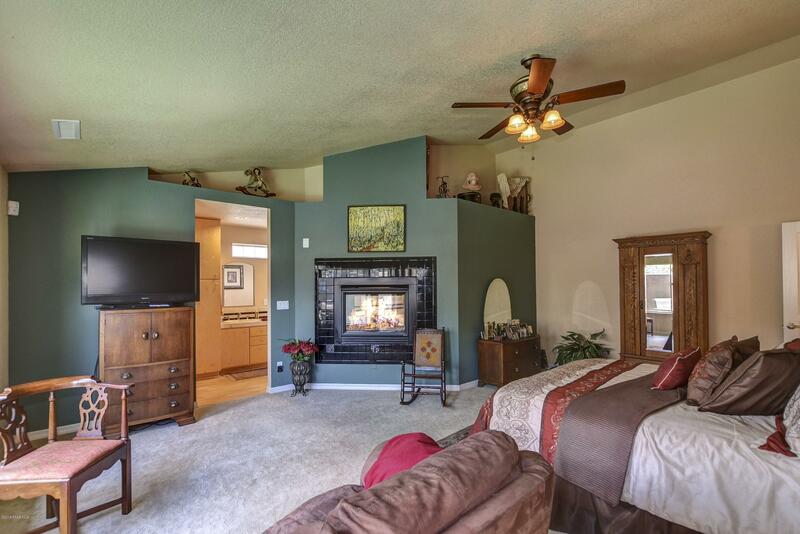 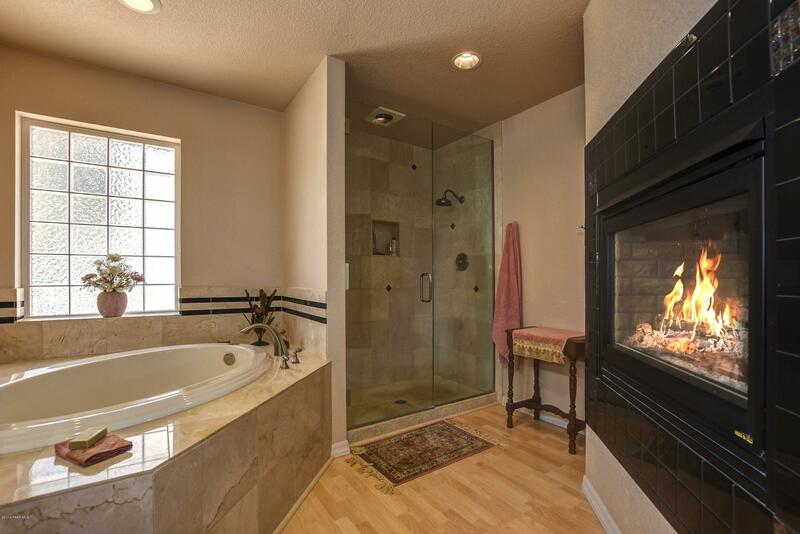 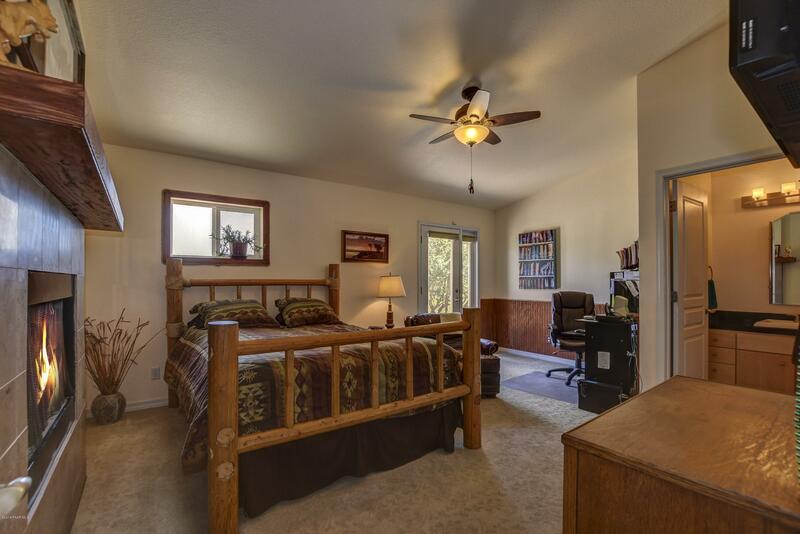 Huge Master Suite with fireplace and dreamy bath and walk in shower. 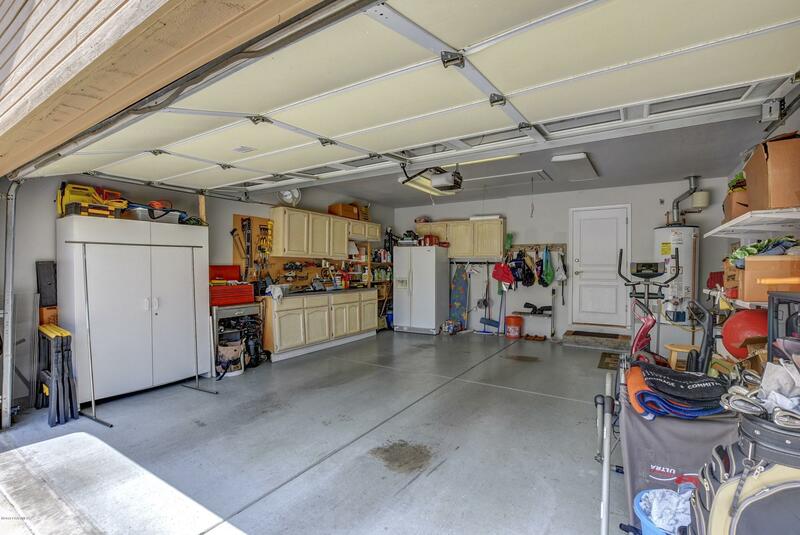 4 Car garage attached, 1 car garage detached. 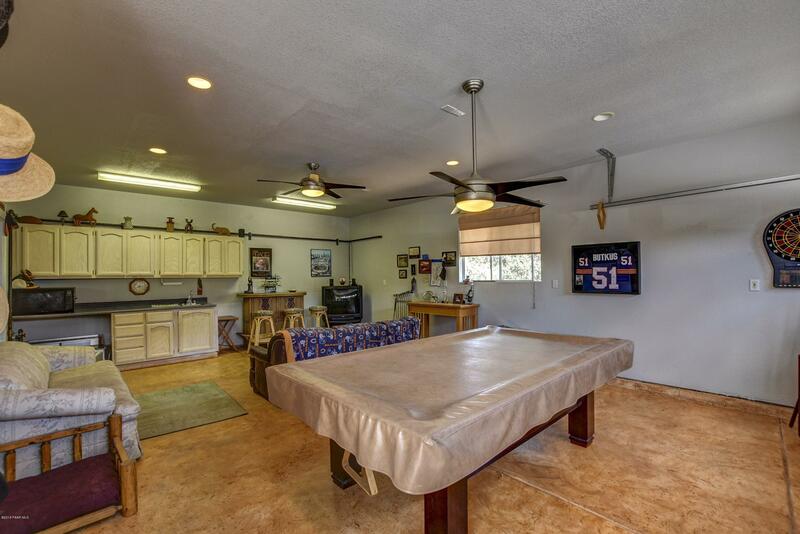 RV's okay, NO HOA! 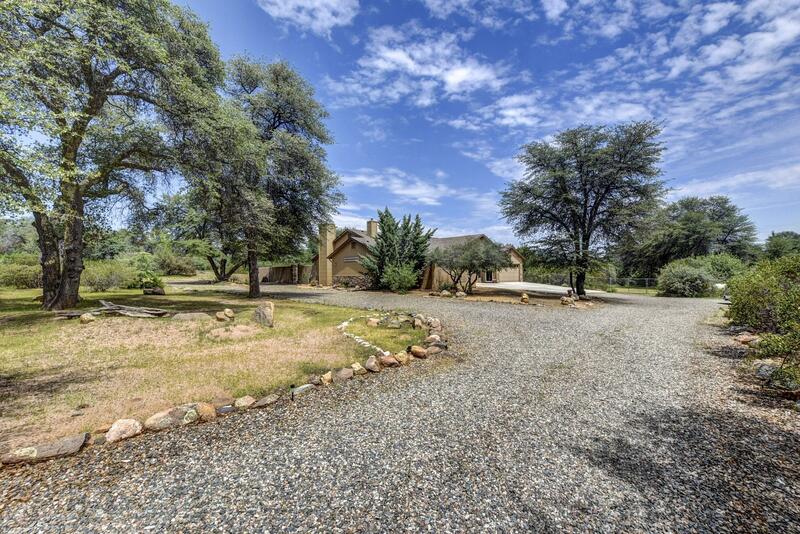 Directions: Williamson Valley Road to East on Granite Oaks Drive, follow to home on the right.